In the 12th century David I gave lands in Saltoun to Hugh de Moreville. In 1643 the lands and barony were sold to Andrew Fletcher (grandfather of Andrew Fletcher, the Patriot), and it was the Fletcher family who attempted to make Saltoun a centre of manufacturing in the early 18th century. Most industry was sited in West Saltoun (formerly Milton), on the Birns Water. 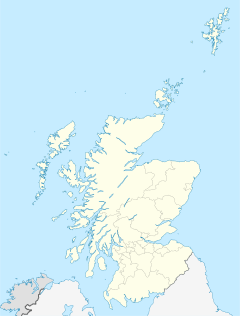 The first barley mill in Scotland was established there in 1712, and the British Linen Company had bleachfields in West Saltoun in 1746. The B6355 road runs through East Saltoun, connecting it to Gifford in the east, and Pencaitland in the north-west. A former branch railway line which linked East and West Saltoun to Gifford, Haddington and ultimately Edinburgh was closed to passengers in 1933 and is now a cycle path. Gilbert Burnet, theologian and Bishop of Salisbury was minister here from 1665-1669. Andrew Fletcher of Saltoun, the Scottish patriot was born here in 1653. Hugh de Moreville, Lord High Constable of Scotland and friend of David I, owned land in Saltoun. John Arthur Thomson, biologist was born in 1861. 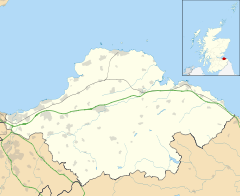 Wikimedia Commons has media related to East Saltoun and West Saltoun. This page was last edited on 1 January 2019, at 19:06 (UTC).